Segway Tour is a great way to experience beautiful parks, monuments and market halls of Helsinki with a local guide. Short information on sites by your guide will make your tour more enjoyable and fun. It is easy, safe and fun way to enjoy Finnish capital city. This popular city tour is best way to discover Helsinki and its attractions. Our meeting spot is easy to find and perfect to start exploring Helsinki. On your arrival to meeting point you will then be kitted up in the essential safety gear before being give a brief introduction to your Segway experience. Once you have built your confidence up and completed a few short rides, you will be taken on a guided tour in the planned path of your tour. This tour will take you some of the top must visit attractions of Helsinki such as the Senate Square, Helsinki Cathedral, the Market square and Market Hall, Esplanadi park and also some of the hidden gems of city. Eira, Kaivopuisto park and Baltic sea side ride are some of the great outdoor sights to have great feeling of Helsinki and local neighborhoods. 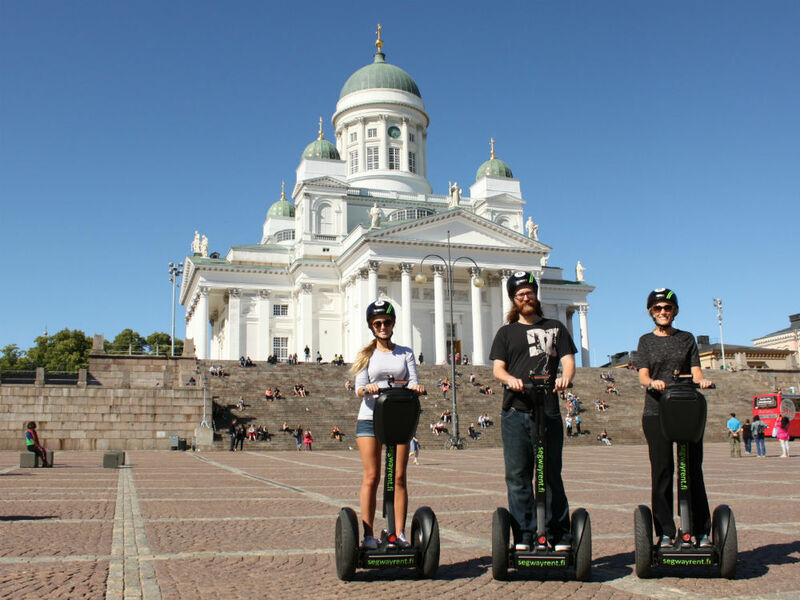 Your Segway experience in Helsinki will be one of the highlight of you visit to beautiful Finnish capital.